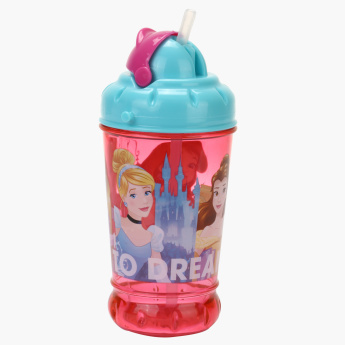 Frozen Printed Water Bottle | Multicolour | attached cap to prevent straw from dust. Grab this water bottle for your little one and encourage her to drink more water. The attached cap makes it easy to open the bottle to your child without it being spilled. The Frozen princess print will be loved. Feature 2 : Attractive colors and character. Feature 1 : attached cap to prevent straw from dust. 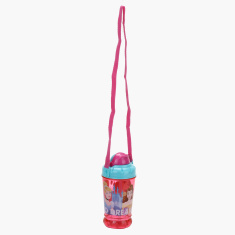 Feature 3 : straps attached for carrying bottle .